The U.K.-based contemporary metal band ARCHITECTS announce their first North American tour supporting their recent Epitaph Records release, ‘Holy Hell‘. The month-long trek kicks off on April 26th at the House Of Blues in Anaheim, CA and will eventually wrap at Concord in Chicago, IL on May 25th. Thy Art Is Murder and While She Sleeps will provide opening support on the run, while tickets go on sale this Friday, January 18th at 10:00 a.m. local time. The 11-song ‘Holy Hell‘ has been garnering great acclaim and accolades since it was issued in November of last year. The positive feedback will hopefully provide some comfort to the band after their loss of founding guitarist Tom Searle to cancer in 2016. That collective healing process was spotlighted, among other things, within a 2018 mini-documentary connected to the band, “Holy Ghost“, which was covered HERE at Riff Relevant. Check out the band’s official video for “Hereafter“, a track from the ‘Holy Hell‘ album, streaming below. 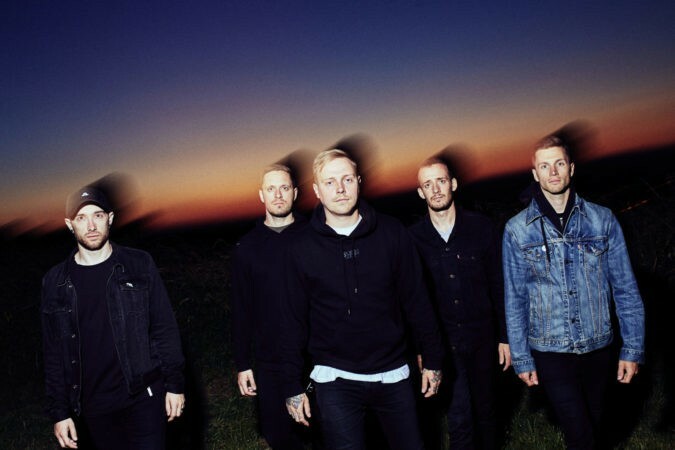 You can find ARCHITECTS‘ North American Tour itinerary below, along with a complete list of all upcoming scheduled appearances (including festivals) for the band.